FLOWER, which stands for Network FLOW AnalyzER, is a software application that collects two-way network conversations between computers to help mitigate cyberattacks. RICHLAND, Wash. — Some Department of Energy facilities experience thousands of attempted cyberattacks every day. But the FLOWER software app, developed and patented by DOE's Pacific Northwest National Laboratory, has been used by other tools and cyber analysts to detect, deter and mitigate coordinated attacks. Now, FLOWER has been licensed to zSofTech Solutions of Atlanta, which provides its clients software resources in the areas of cybersecurity, data analytics, artificial intelligence and Infrastructure and Cloud management. The Department of Homeland Security helped bring the software developed for and used by government agencies to the private sector. The DHS Science and Technology Directorate S&T, through its Transition to Practice Program, identified FLOWER as a promising candidate for transition to the commercial marketplace. FLOWER, so named because it inspects network flows or conversations between computers, can be deployed using a passive network tap anywhere in the enterprise. 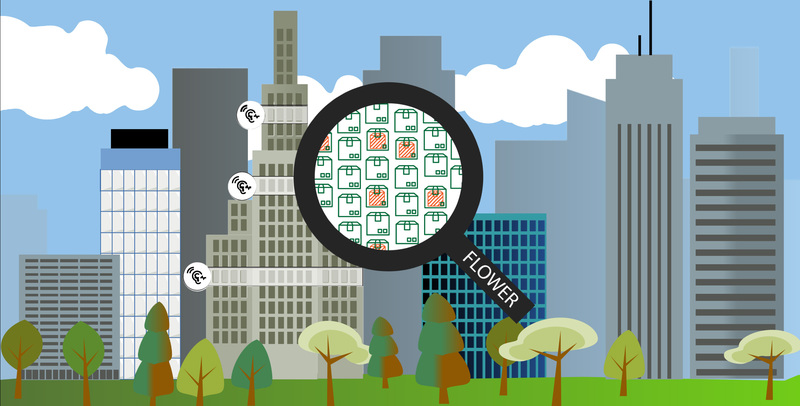 FLOWER is a simple but powerful algorithm that can parse and aggregate up to one million packet headers per second. Packets are akin to envelopes wrapping up the data. FLOWER doesn't look inside the envelope but has ways of determining if what is inside conforms to what should be there or whether it's suspicious and needs further analysis. "The Transition to Practice program played a significant role in FLOWER's commercialization," said Kannan Krishnaswami, a commercialization manager at PNNL. "zSofTech Solutions is a small business that evaluated the potential of FLOWER and subsequently created a business case for its application in cloud and high-performance computing spaces." "The TTP program is great for small companies who are looking to innovate and create new technology for the marketplace," said Leticia Alexander, president of zSofTech Solutions. "The TTP program helps technologies go from the lab to the marketplace, in large part, through our partnerships with the private sector, focusing on finding the right business model for each technology," said Nadia Carlsten, TTP program manager in S&T's Cyber Security Division. "The licensing of FLOWER by a small business is a promising step in getting this much-needed technology adopted by enterprises seeking to increase their cybersecurity." Flower is the 10th cybersecurity technology that has been licensed as a part of the Transition to Practice program. Each fiscal year, the TTP program selects up to eight promising cyber technologies to incorporate into its 36-month program. TTP introduces these technologies to end users around the country with the goal of transitioning them to investors, developers or manufacturers that can advance them and turn them into commercially viable products.